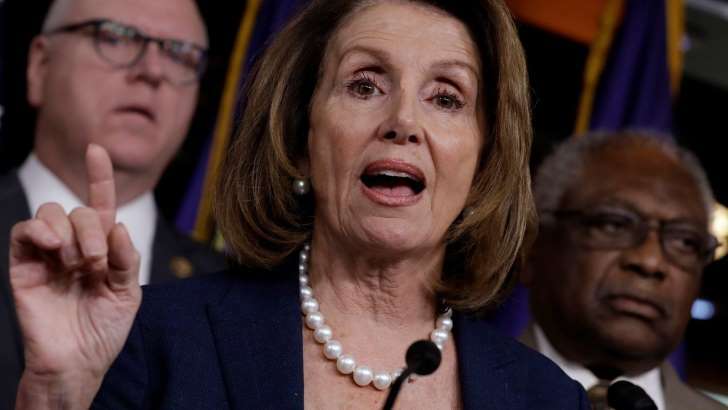 © Provided by Fox News FILE: House Minority Leader Nancy Pelosi addresses the media last week. She has been criticized over her recent comment on immigration. Trump’s proposal would offer a path to citizenship for 1.8 million so-called “Deamers.” He would insist on $25 billion in funding for a border wall and security. The proposal also called for a crackdown on chain migration and the diversity visa lottery program. Reuters reported that Manchin is a leader of a bipartisan Senate group that is working on an immigration solution. The Senate’s top Democrat, Chuck Schumer of New York, dismissed Trump’s plan Friday as a “wish list” for hard-liners. He acknowledged the bipartisan common ground on protections for the immigrants now shielded by the Deferred Action for Childhood Arrivals program, or DACA.